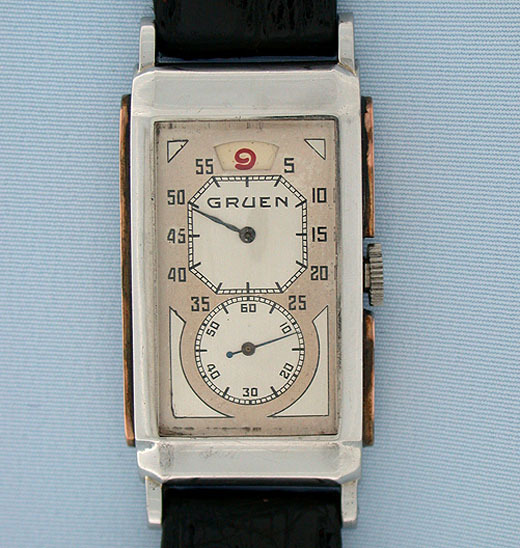 Fine and rare Gruen steel and pink gold digital doctor's vintage wrist watch circa 1930. Two tone original dial with aperture for the red jumping hours and large seconds chapter. 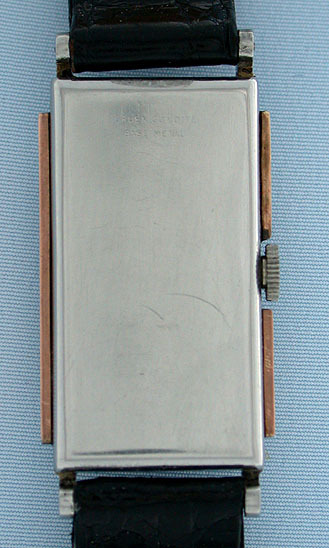 The case with applied pink gold decoration. 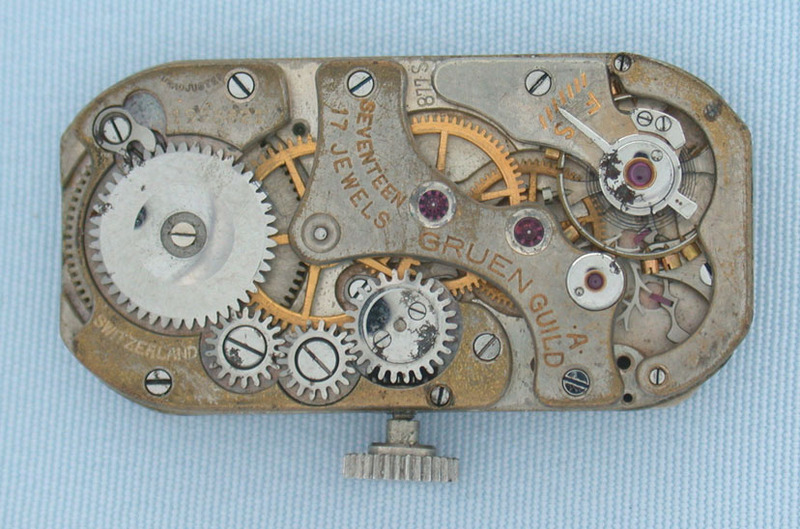 Faded nickel 17 jewel movement from the same source that supplied identical movements to Rolex during this period. Handsome.